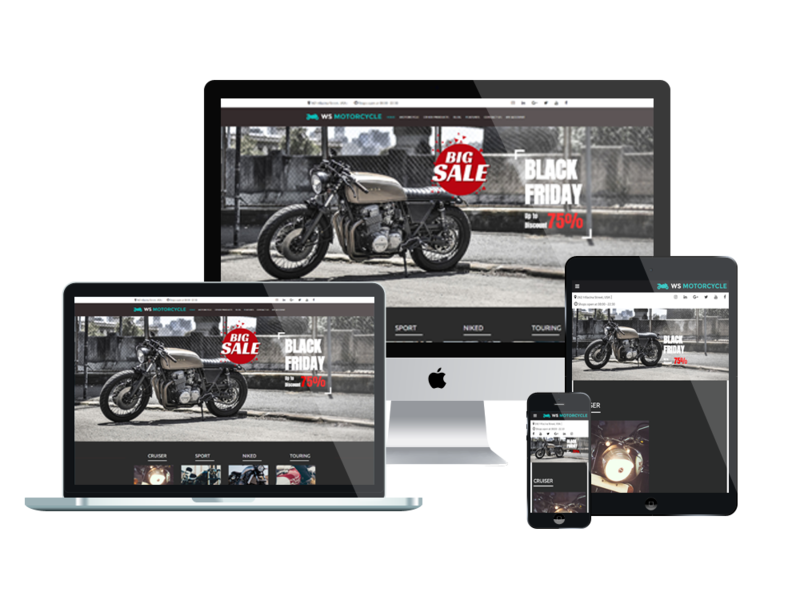 WS Motorcycle is a free responsive MotorBike WooCommerce WordPress theme designed especially for motor store. This theme has been updated to a better version, which will be a great starter for establishing your Motor Store because of its modern and suitable design for this special topic. Product description, models, prices are presented in best eye catching way so it encourages customers’ demand to purchase. Moreover, they can buy it easily through online ordering systems and payment methods. WS Motorcycle is fully responsive template that adapts to the screen resolution of all mobile devices – smartphones, tablets and desktops. This theme supports page builder and drag-drop layout content supported from the template framework, unlimited color and a color picker in the admin panel. It’s time to give your site a new look and increase sale!